Produced in partnership with IDC Asia/Pacific, “Future Ready Business: Assessing Asia Pacific’s growth with AI” unveiled that Artificial Intelligence (AI) will nearly double the rates of innovation and employee productivity improvements in Asia Pacific by 2021. While 4 in 5 business leaders agreed that AI is instrumental for their organization’s competitiveness, only 41% of organizations in the region have embarked on their AI journeys. Companies that have already adopted AI are expecting to increase their competitiveness 100% in three years. Meanwhile, culture and skills were identified as key barriers hindering organizations’ to succeed in AI. To ensure success, Asia Pacific needs to focus on improving its AI readiness. Ralph Haupter, President, Microsoft Asia, shares that Asia Pacific organizations need to be fast adopters of best-in-class technology and build their own unique digital capabilities in order to accelerate AI adoption. This is described as the “tech intensity” by Microsoft. The rise of AI also means that there is an urgent need for workers to reskill and upskill to be part of the workforce of tomorrow. But more importantly, business leaders will need to take the lead in driving cultural transformation within their organizations. Business leaders expect AI to double both their innovation improvements rates and employee productivity gains. Even so, only 41% of organizations in Asia Pacific today have actually started their AI journeys. 66 people die in auto accidents every day in Thailand. To keep more than 4,000 staff and other road users safe, Thailand’s biggest petrochemicals company, PTT Global Chemical Public Company Limited partnered with Microsoft. 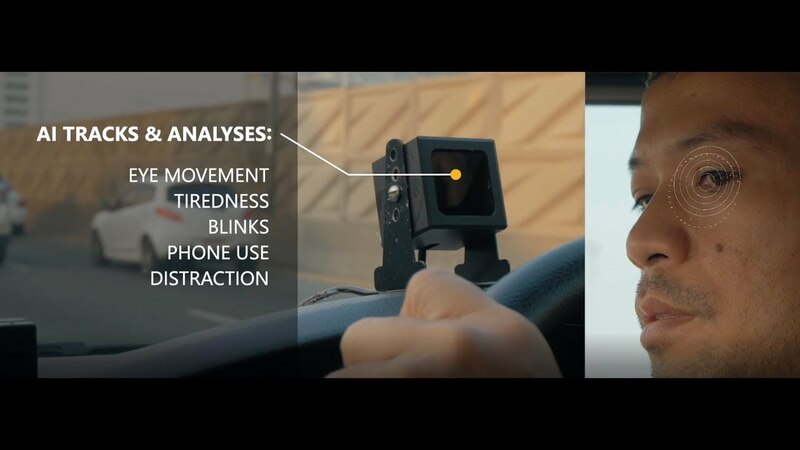 ‘AI for road safety solution’ monitors driver behaviour and alerts them if they are becoming drowsy or distracted. And, the fleet manager can dispatch a relief driver, if necessary. Is Japan’s Ashura Buddha happy or sad? Researchers from Nara University turned to Azure Cognitive Services’ Face API to unravel the mystery behind the 1,200-year old statue’s subtle facial expressions. To maximize renewable energy production, Envision turned to AI. Its “smart” wind turbines equipped with up to 500 sensors monitor factors like wind speed and direction, and improve energy production by up to 15 percent. India’s Narayana Health believes that the key to affordable and high-quality healthcare services is embracing technology. The hospital is leveraging AI to decipher X-Rays to point out any irregularities from a normal X-Ray, helping doctors make more accurate diagnoses in less time. Identifying and counting fish species in murky water filled with deadly predators is a difficult job. But scientists in Australia’s Northern Territory are working on an artificial intelligence project with Microsoft that has incredible potential for marine conservation around the world. After every professional baseball match in Japan, hours are spent selecting the best photos for fans and commercial use. FUJIFILM and Microsoft Japan now have an AI solution that can do the job under 30 minutes, even when players’ faces are not visible in an angled or side shot. India’s Piramal Glass have overcome production efficiency challenges of glass manufacturing through deploying AI-powered Real Time Manufacturing Insights, powered by Azure IoT platform. The results: 40% reduction in manual data gathering, 25% improvement in employee productivity, and 5% reduction in defects. Baobei Huijia (Baby Come Home), a leading non-profit organization in China, dedicated to finding missing children, is using Microsoft technology powered by AI and facial recognition to reunite missing persons with their families. What do wind turbines and store shelves have in common? If you ask Clobotics, a start-up dual headquartered in Shanghai and Seattle, they are practical applications of digitalizing the physical world using AI-powered computer vision. Airdoc, a start-up in China, has created an AI-driven system that takes and analyzes photographic images of the retina at the back of each eye. Painless and low-cost, its high accuracy rate on finding indications of diseases on retinal images could make preventative healthcare available to millions of people. Microsoft Partner, Enlighten Designs is working on an exciting new initiative with Sustainable Coastlines aiming to create citizen scientists, arming them with the right data and insights to help keep New Zealand clean, green and beautiful. Microsoft Research Asia (MSRA), Microsoft’s fundamental research arm in the Asia Pacific region, was founded in 1998 in Beijing. By attracting the best talent from Asia and across the globe, MSRA has grown into a world-class research lab that pushes boundaries of innovation. This year marks the 20th anniversary of MRSA, and we are celebrating the organization’s achievements in its persistent pursuit for excellence. With the goal of empowering people, organizations, and society, MSRA has set a high bar for what it will achieve in the next 20 years and beyond. Microsoft Research Asia celebrates its 20th anniversary this year, and the milestone provided an occasion for many in the industry to reflect on an amazing journey, one not only replete with excellence and technological achievement, but also significant in its profound influence. In this podcast, Dr. Hon gives us a brief history of MSRA, from its humble beginnings to its significant role in the AI boom, talks about its unique talent pipeline, shares his vision for the complementary roles of machine intelligence and human wisdom, and explains why the more progress we make in AI, the better we understand ourselves. As a powerhouse of ideas and innovation, the Beijing lab of Microsoft Research Asia is a surprisingly placid place. There is a quiet sense of contemplation here, almost as if it were a bastion of academia. And, in a way, it is – only better. Imagine having a virtual assistant who knows you through and through and can help you in all sorts of tasks and issues in your work and life. Microsoft’s top researchers in Asia predict that AI will soon make this not only possible, but also accessible and affordable. She has a staggering 660 million online users. And, while they know she’s not real, many prize her as a dear friend, en a trusted confidante. She is Xiaoice – Microsoft’s chatbot phenomenon that has enthralled digital audiences across the world’s most populous nation for the past four years.